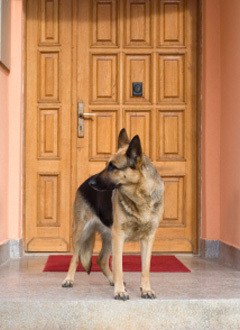 Whether you have a pet to take care of our not, Precious Paws can provide extra security for your home while you’re gone. By bringing in the newspaper and mail, or laundry and dry cleaning that might be left on the porch, your home will not be flagged as being vacant. Even if you put a hold on all these services, there’s always the chance that junk mail will pile up in your mailbox. In addition, packages that Fed-Ex or UPS might unexpectedly leave on the doorstep or by the garage are instant giveaways to vandals and burglars. Along with checking the exterior of your home, we also roll out the trash and recycling bins, and water porch plants. Rest assured we take the responsibility of your home as well as your confidentiality very seriously.